On Saturday 9th June, Stratford upon Avon Boat Club’s J13 squad travelled to Blenheim Palace to take part in their regatta organised by Hinksey Sculling School. The event which takes place over 500m uses three lanes for racing and is for athletes aged fourteen and under only so always has good competition. First up for Stratford was the double of William Beattie and Harry Trueman: they managed to win their heat despite the poor steering from their opposition which nearly resulted in a crash. They headed back up the lake for their final where they met two crews with very tall boys in them. Beattie and Trueman raced well but the other two crews muscled their way down the course leaving the Stratford duo to pick up the bronze medal. 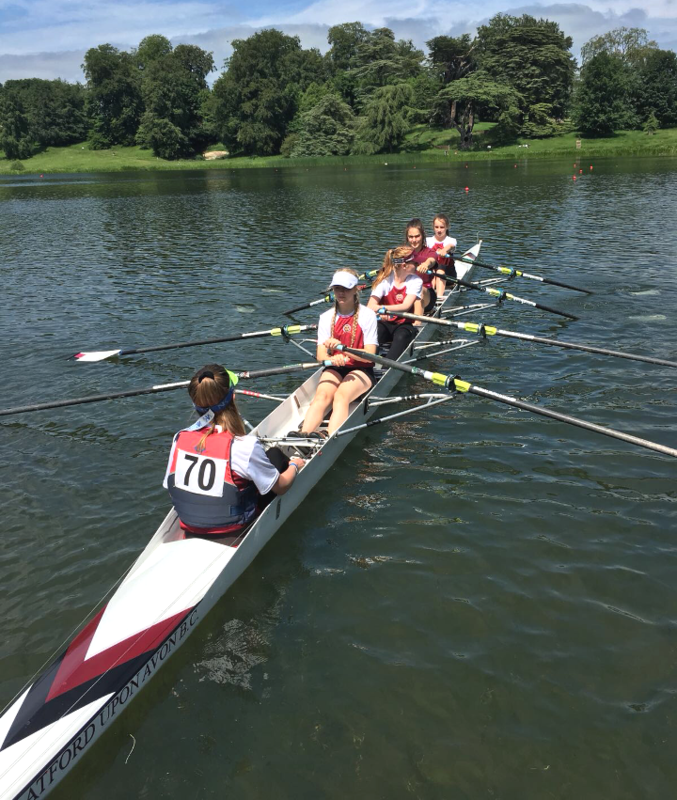 Next was the turn of the girls’ quad which due to sickness had a last minute substitution: the crew comprised of Harriet Holmes, Lucy Browne, Honour Keil, Freya Watts and cox Fleur Griffiths. The girls put in a massive effort in their heat to lose to a strong Headington School crew by less than a foot. This put them into the repechage where they faced another Headington crew. This time the Stratford girls were even more determined and lead from the start to ensure their place in the final. The quad made their way straight back to the start only to find the third crew into the final was yet another Headington crew. 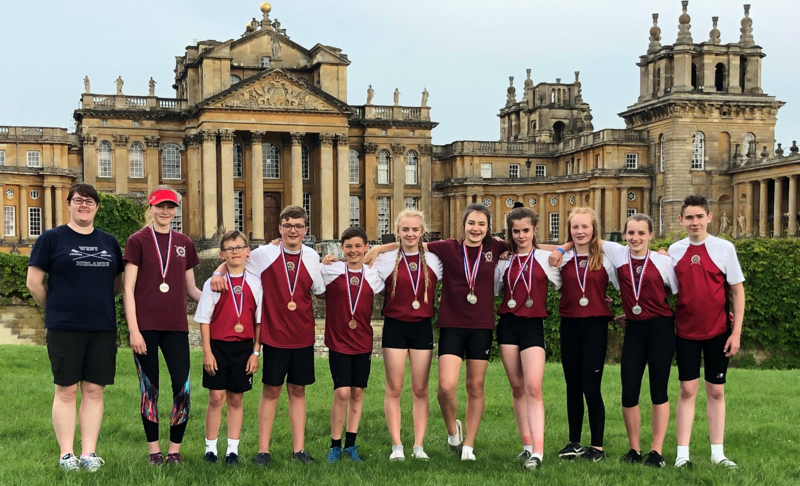 The Stratford crew had no chance for a rest and raced back, to be beaten by a boat length by the crew they had raced in the heat but Stratford picked up the silver medal. The boys’ singles raced next with both Toby Sartain and Tomi Wilcock in action. Both had just one opponent in their heats. Sartain went first and raced down neck and neck most of the way with his opposition. As he reached the crowd that were all shouting, he put in a push to see his boat go into the lead to take his spot in the final. Wilcock was unfortunately not so lucky with his opposition: he came up against a very neat sculler who led from start to finish to knock out Wilcock. Sartain went into the final to race the boy who had beaten Wilcock and another even taller boy. As they came down the course, Sartain did all he could but it was not enough and finished up with a well-deserved bronze medal. Keil and Griffiths fresh from the success in the quad now went on to race in the double. They sailed through their heat to book their spot in the final. Again racing two crews from Headington School, the Stratford girls knew the race would be tough. With 100m left to go, they put in a massive push to take them from third to second and were moving closer to the first place crew. They didn’t quite manage to get there and the girls were elated to receive their silver medals. Finally it was the time for Anne Mynors in the girls’ singles race. She raced another girl from Headington in her heat which was really close until her opposition had a problem with her boat and subsequently capsized, meaning Mynors had her place in the final. 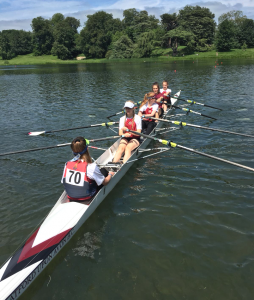 She rowed straight back to the start and raced back down the course fighting her way into second place and finishing Stratford’s day with another silver to add to the total. 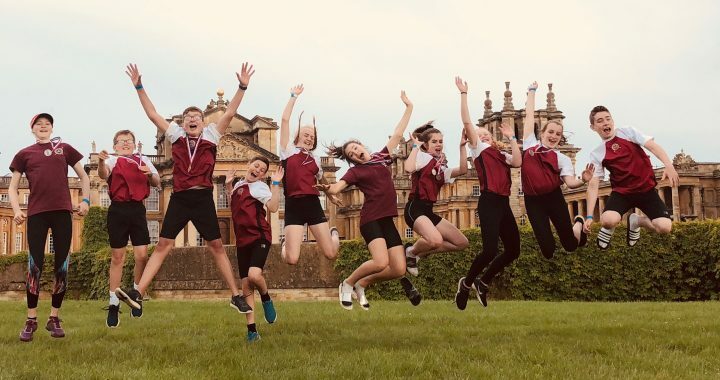 Posted in News and tagged Blenheim, J13, junior squad, rowing, sculling.